Some might think that this list is overkill or poorly executed, but alas, I couldn’t think of any better way to describe it. 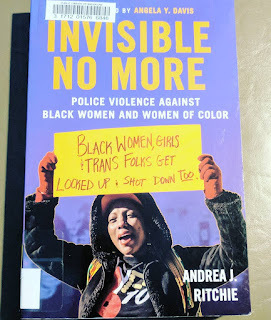 There’s such a rich mixture of books from sociology to critical studies to African American studies to psychology to legal works and so on that discuss race, identity and privilege. As you’ll notice this list overlaps with so many of the previous lists. In some ways, I feel like this pulls together books from education to history to peripherals to systematic view to education and more. Maybe so, I still think they may a good list on their own. So for those just tuning in, this is a 4-part series on my love of audiobooks. You can catch up by checking out Part 1, Part 2, and Part 3. Voices Among the StarsAudiobooks changed me and when I say I have a deep love of audiobooks, it means I worry about a time when I may lose my hearing (C’mon science, forget jet-packs, cures for hearing loss are my priority). It means I am almost never without an audiobook. I have them on my phone, on my iPod (which comes with me almost as much as my phone), on my computers, on my tablet, and in my car. I spend more hours listening to audiobooks in a week than I do watching screens, twiddling away on social media, or any other single activity, with the exception of sleep, probably. So for those just tuning in, this is a 4-part series on my love of audiobooks. You can catch up by checking out Part 1and Part 2. 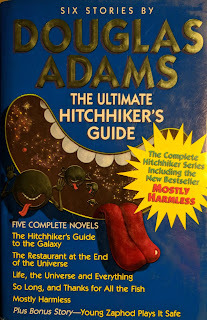 Listening to the UniverseDuring one of these audio-fetching sojourns, I came across Hitchhiker’s Guide to the Galaxy again. I looked at it; it looked at me. It taunted me, reminding me of the times I had tried to read the book and failed. It was antagonistically flirting with me. Just trying to get a rise out of me; figure out what got me going. 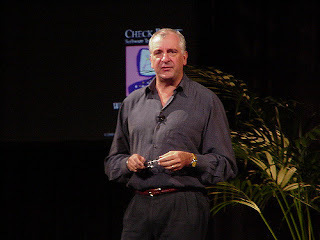 Obviously, as someone so deeply involved in education, we knew that I would compose a list of books on education. With education being the backbone of how a society creates its sense of cultural identity, explains its past, and facilitates youth into the present, education is many things in our society. 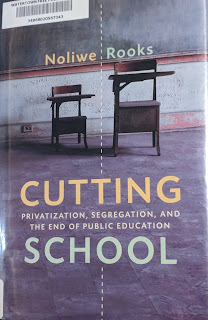 And there is easily a library’s worth of research out there about how schools from kindergarten to college reproduce inequality and produce different outcomes for different groups of people. The Sounds in the StarsFast-forward a few years. I’ve found my love for reading. 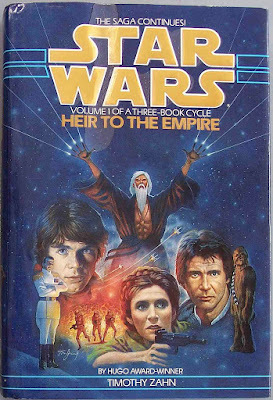 The slow trickle of new Star Wars books that arrived starting in middle school saw to that and by summer of sophomore year, I fell equally hard for Sara Douglas and her Axis trilogy, opening me to epic fantasy and the mammoth books that would follow. I won't make any cliche comments about time and how long or little it took to get to this final June session. It's been 2 years, 12 courses, innumerable pages, and many thoughts about the direction of my research (and two job changes). But here I am at the first course in the program that specifically deals with research involving the dissertation process and another course that serves as a capstone to the foundational courses. A nice way to end one portion of the program and start another.